Local Artwork by Marie Fox! 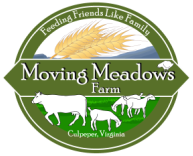 Once again Moving Meadows is excited to partner with a Culpeper Local – Marie Fox! but she painted/detailed our Bread Wagon as well. She did a fantastic job in bringing it to life! Frames handmade of reclaimed local barn wood!